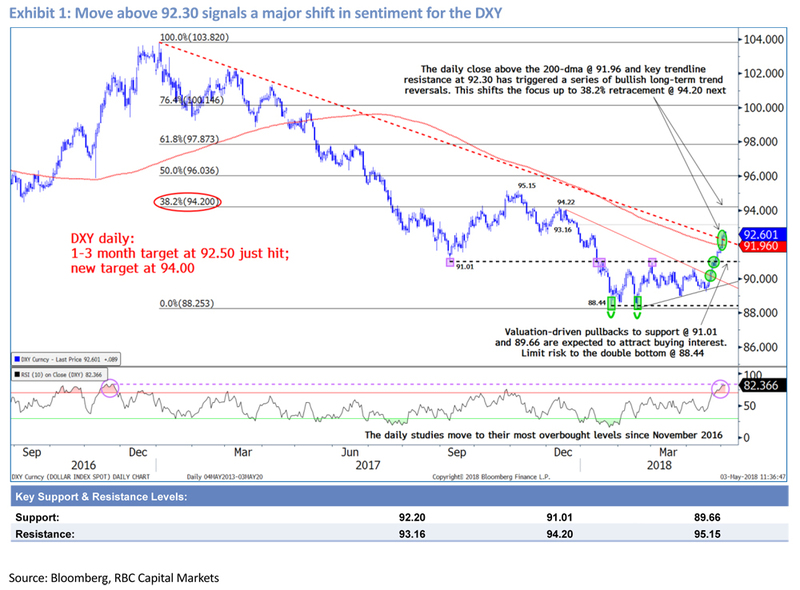 The USD has posted a number of bullish trend reversals against the G10 currencies and will likely continue its path upwards in the medium-term, according to George Davis, Chief FIC Technical Analyst at RBC Capital Markets. Davis points out the USD has rallied strongly over the last few weeks, gaining approximately 4% on a Dollar Index basis (see Chart of DXY) and triggering a series of bullish long-term trend reversals. However, he warns the USD looks overbought in the short-term, having reached multi-year highs in indicators such as the RSI (lower pane of Chart). As such, given the recent bullish trend reversals and the shift in sentiment, Davis thinks pullbacks in the USD should be seen as good buying opportunities. 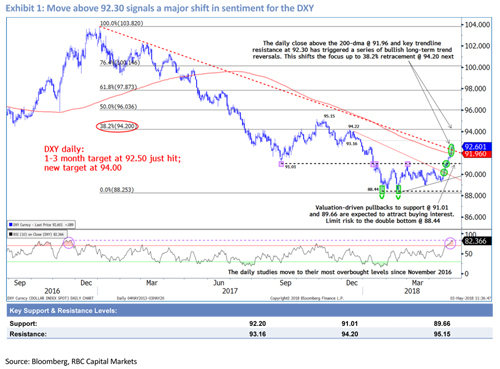 His one to three month target for DXY is 94.00.